The event, scheduled from Saturday 18 to Tuesday 21 February 2017, was dedicated to all the professional operators of the supply chain. CDR attended for the third consecutive year to BeerAttraction: the trade exhibition for CDR BeerLab® has been a success. 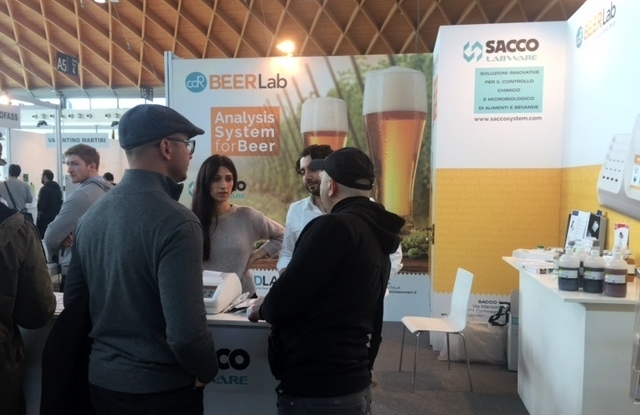 CDR has participated at BeerAttraction with Sacco, company that in addition to distribute CDR BeerLab®, as exclusive CDR distributor for Italy, also offers a solution line for microbiology analysis. We are satisfied as usual, many people visited the stand of CDR BeerLab® and many brewers expressed interest on CDR BeerLab®®. The practical demonstrations of analysis of beer sample during the fair trade attracted several people to our stand. 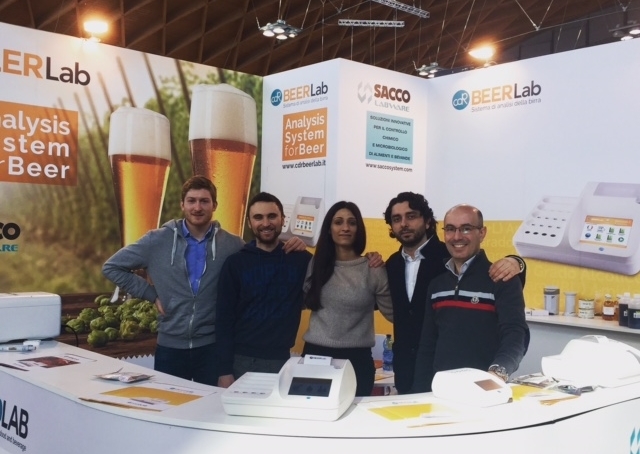 We shown how is simple and fast to perform analysis in brewery with CDR BeerLab®. The increase of master brewer’s knowledge, the increase of breweries and of the dimension of those existing led to the necessity of the control of the beer production process, from the wort to the beer. CDR BeerLab® is the solution to any analysis needs. Brewer is able to improve the quality control in all beer production phases. A versatile system specifically devised by CDR to respond to the needs of master brewers and breweries of any size. 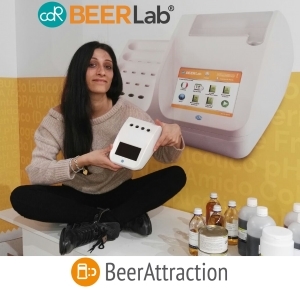 The CDR BeerLab® analysis system allows performing a wide range of tests on beer and water with one single instrument, more rapidly and easily than traditional methods, in total autonomy without having to rely on dedicated external laboratories. CDR BeerLab® does not need a dedicated external laboratory or skilled technical staff, brewers can obtain results with the same accuracy and precision of traditional methods. For CDR the trade show was a success! The meeting with brewers is very important; it offers food for thoughts to be able to bring some improvements to the system and to offer a product ad hoc for all customers. One of the main CDR goals is to answer in a promptly and clearly way to customer demands and to offer them a system of analysis that satisfies their needs. CDR BeerLab® at Beer Attraction 2017 was last modified: May 3rd, 2017 by CDR s.r.l.